Photography has been a powerful tool for artists to showcase their passion for visual art. For landscape lovers, it is through photography that they can express their ingenuity and creativity. Put these two together, it will be a wonderful way of appreciating Mother Nature in a more imaginative and artistic manner. 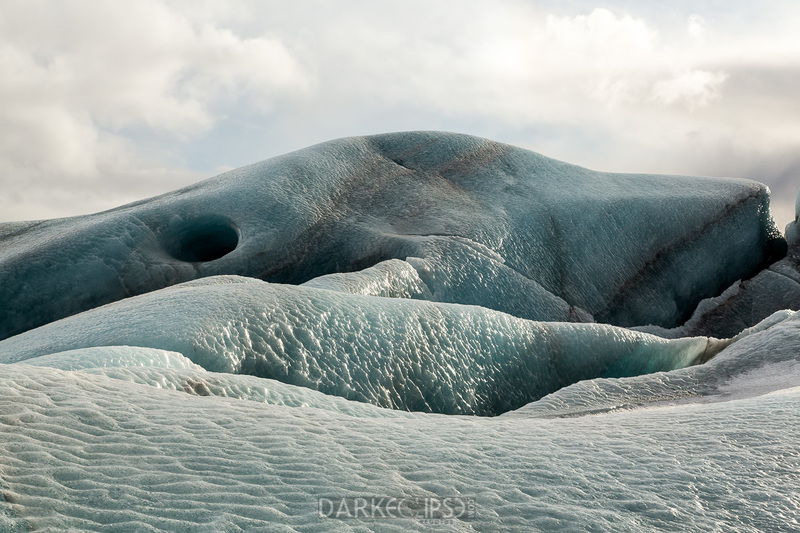 A recent trip to Iceland gave me the opportunity to capture beautiful sceneries of Svinaefellsjokull Glacier. Iceland bears a frost-molded landscape with tremendously low temperatures. Yet, this place has been given a beautiful and diverse ecosystem and national resources unique to this remote place in the world. Gigantic glaciers, beautiful waterfalls and Northern Lights along with the geysers make Iceland an ideal place for a photographer like me. This fine art image included more than what the eye can see from a natural point of view. The view is almost unobstructed as it showcased a vaster area of the Svinaefellsjokull Glacier. Take a look at this image and you will be awed by the details and texture of the subjects. The glacial mountain and the blanket of white snow appeared so surreal. This wide format type of photography is quite impressive once it is done accurately. The stunning images captured are perfect for adding style and artistry in a living room, bedroom or even an office lobby. Exploring the most isolated yet most enchanting places around the world is not an impossible thing for artists whose passion is adventure photography. These visual artists pursue travel photography and bridge boundaries around the world through the images that they capture. A picture of Iceland’s Falljökull Glacier features the most impressive ice falls from the Vatnajökull ice cap. This panoramic image is a combination of multiple shots and highlights the beautiful and unique terrain of Iceland. 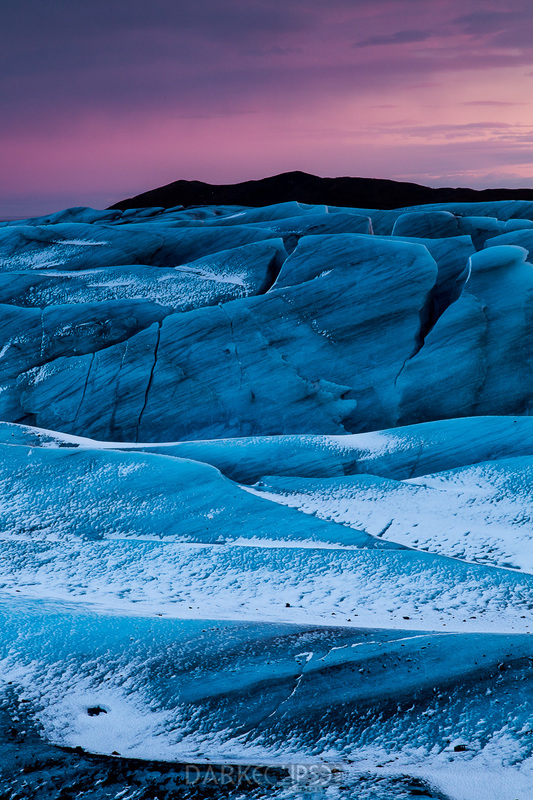 The rugged and raw terrain of Falljökull (Glacier of Lakes) Glacier makes it a perfect subject for a fine art photo. The different textures, lines and patterns in this photo bring it to life. The contrasting hues of the bed of snow and the mountains highlighted the eccentricity of this secluded part of the world. Literally, the extraordinary landscape of Iceland is almost out of this world. The cold, eerie and mysterious atmosphere of the Falljökull Glacier might make it seem as an out of the ordinary location for a photo shoot or any type of creative endeavor. As a matter of fact, Vatnajökull araea (also known as the Vatna Glacier) where the Falljökull Glacier can be found has been a part of the modern day culture. The glacier itself has been a used as a location for various films including the 1985 James Bond sequel “A View to a Kill” played by Roger Moore. In addition to that, The very famous HBO fantasy TV series “Games of Thrones” used the Vatnajökull as a location in November 2011. 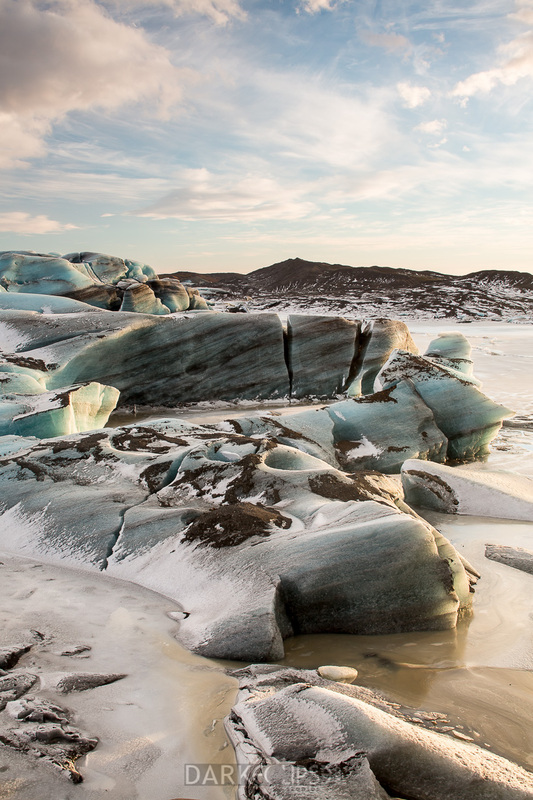 Invest on a fine art print of this panoramic shot of the Falljökull Glacier. This will be a perfect addition to an arsenal of visual art masterpieces. Furthermore, it can be a wonderful ornamental piece for various households and establishments. For those who enjoy frolicking in a cold weather, Iceland is a perfect place to be. On the other hand, photographers can capture a lot of images that goes beyond the beauty of a winter wonderland. The frozen glory of Iceland is so inviting for photography fanatics who are on the look for very interesting subjects for an outdoor photo shoot. A short hike onto the regal glaciers is a great chance to capture amazing images of Iceland that a regular tourist never gets to see. One of the many things I’ve done in Iceland was a glacier walk. This glacier formation appeared to be a resting dolphin in the back drop. The different curves of the glacier appeared to bear a resemblance to a face and head of a dolphin. If you happen to fancy abstract photography, this is a fit choice for a fine art print. 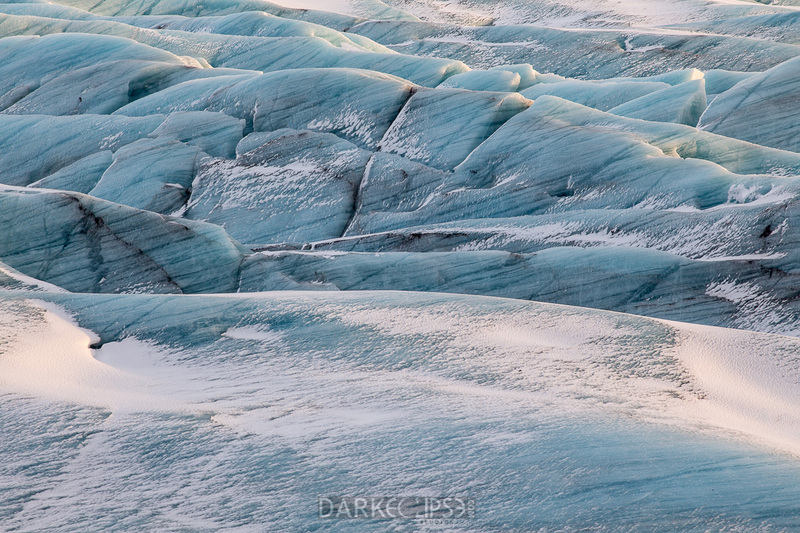 The various textures of the rock-solid glacier created a visual illusion that brought this image to life. The detailed feel and quality of the lines and patterns in this snapshot is highly noticeable at the first look. Thus, it can be a nice way of appreciating photography as a form of visual art as it involves a lot of camera skills for this to be captured. Never hesitate to secure a fine art print of this scenery. It will surely pull off an interior design plan effectively. Visitors to Iceland have been enchanted throughout the years by the Northern Lights. Properly known as Aurora Borealis, this stunning display of natural light phenomena have been subjects of a myriad of fine art photos since time immemorial. The dazzling colors and mesmerizing glow of the Northern Lights across the night sky appears naturally magical in photos. Thus, plenty of seasoned and aspiring nightscape photographers from across the globe travel to Iceland to capture the best images they can get. 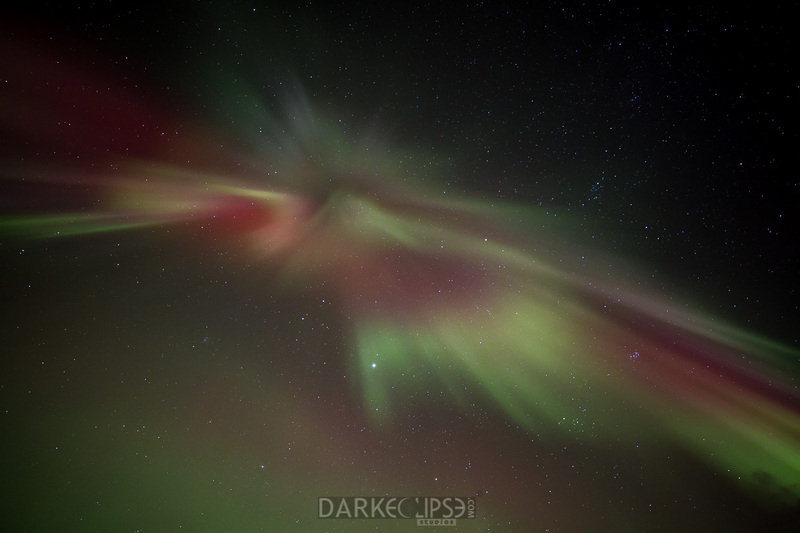 This fine art image is of the Northern Lights was taken during a photography trip to Iceland. The lights are mostly of green color because of the interaction between the oxygen and nitrogen approximately 60 miles above the atmosphere of the earth. 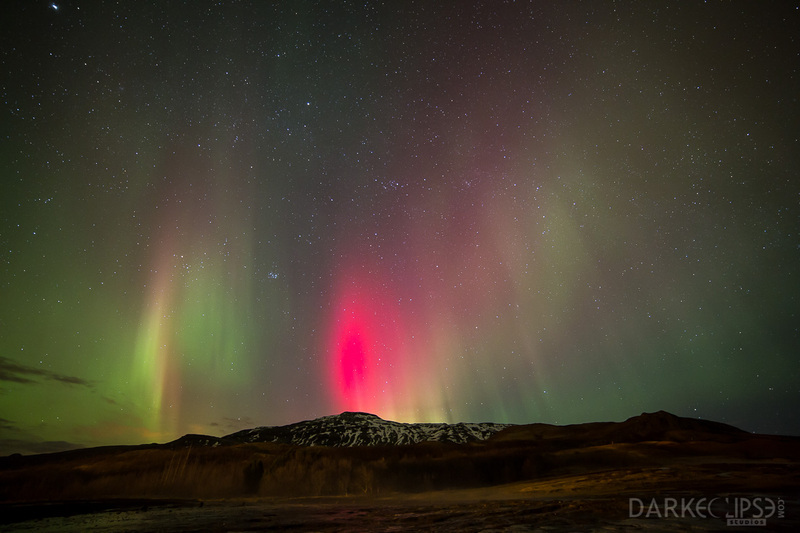 The red glows are brought about by the oxygen and nitrogen molecules in a higher altitude. The eye of the solar storm, known as corona, captured in this magnificent photo is definitely not to hard to understand why the Northern Lights is one of Iceland’s top tourist attractions. Iceland happens to be found right at the middle of the auroral zone. This is the place where this natural phenomenon frequently occurs. As a matter of fact, some Northern Lights or auroras can be seen on any clear night sky in Iceland. However, the intensity will vary in significant extremes depending on the solar activity. For homeowners, this is a perfect design piece for a living room or a bedroom. An office lobby will look definitely stylish with ornament on the wall. Investing on a fine art print of this beautiful image is a sensible decision for everyone. Traveling and photography go hand in hand. Exploring the beauty and wonder of Mother Nature can be a perfect opportunity for an a fine art nightscape photographer. For those who have that distinct imaginative and creative drive in them, a visit to Iceland can be an exhilarating experience. The picture above was taken in Geyzir, Iceland. A night with fine weather and absolutely clear skies is required in order to witness the world famous natural phenomenon. The Northern Lights or also known as aurora borealis appeared on the skyline above a mountainous area. 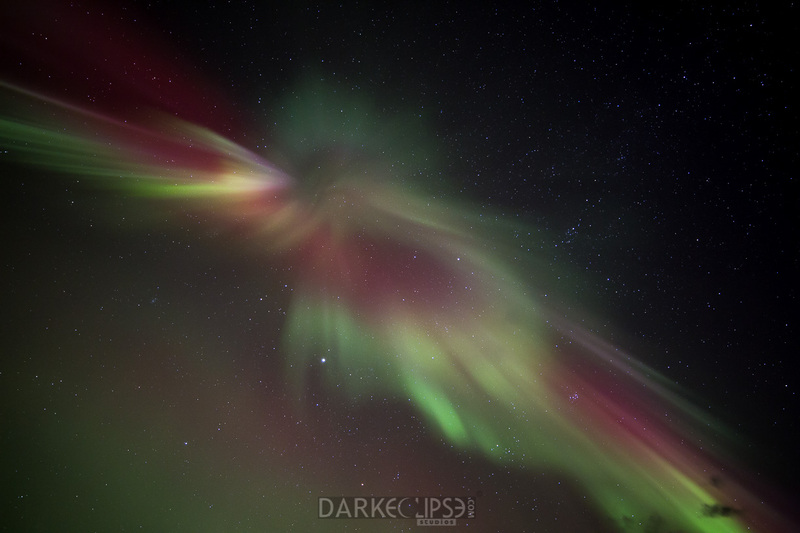 The captivating colors of green and red illuminated the sky. This is a beautiful snapshot of the Northern Lights of which millions of tourists from across the globe would want to observe. The lights appear to dance and move in intricate patterns which are utterly delightful. This is an interesting fine art photograph because of the amazing display of color and light. 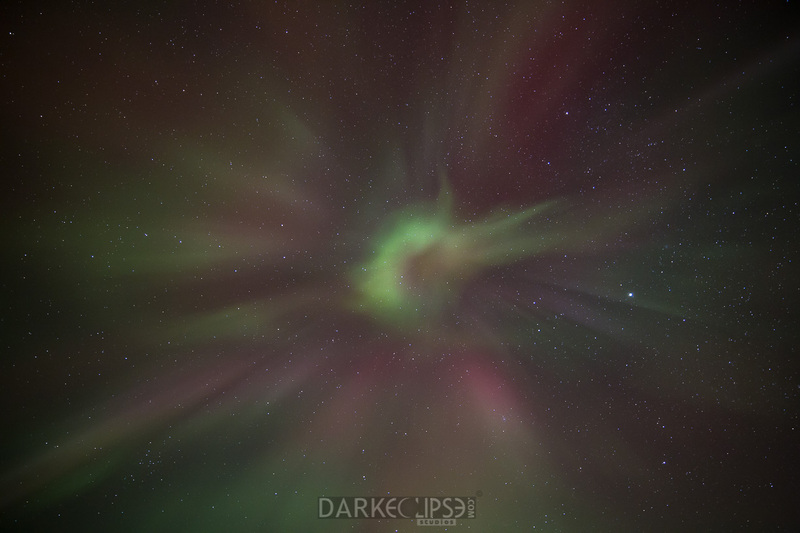 This aurora display appeared to be a flickering candle amidst the dark. The hues of green and red made it look to be festive and joyful. These Northern Lights may appear in a wide variety of hues. However, the most common ones are pink and green. The fascinating patterns of ripples, arcs, curtains and shooting rays make these aurora to be very a beautiful subject for fine art photographs. A fine art print of this flickering aurora borealis can recreate a homey and attention-grabbing ambiance into a home or office. This piece of visual art can be a sensible investment to make because fine art photographs of this nature are always known to be timeless ornamental items. Photography captures both the literal and the abstract beauty of things. A photo shoot amidst a brutally cold environment in Iceland can be a challenge. There can be limited possibilities of capturing interesting landscape photos as the place might look barren and cold. However, being able to capture the exceptional and hidden beauty of what Iceland has to offer can be a perfect opportunity for photographers to explore their own level of creativity. The picture above was taken during a walk near Svinaefellsjokull Glacier in Iceland. This image is an abstract photograph as it does not represent the subject in an obvious and literal way. It communicates chiefly through the repetition of colors, forms, lines and curves rather than the details of the image itself. What you actually see is a piece of the glacial surface that caught my attention during my visit. The image appears to have a marble-like surface. If you look into the minute details on the lower part of the image, it appears to be a smudged part of a watercolor painting. This image emulates the essentials in abstract photography: color, form and curves. These elements form distinctive human reactions like melancholy, sadness and confusion. This is a beautiful visual art as it plays with the human side of creativity and imagination. It will be nice to have a fine art print of this masterpiece to generate a sense of artistry in a home or office space. All throughout time, a lot of people were drawn into photography. However, there are photography aficionados who would take their interest to another level. They travel around the world just to capture a beautiful photographs of the most iconic and beautiful place around the world. A trip to Iceland definitely allowed me to capture images of the beauty, uniqueness and rarity of this beautiful frozen destination. A hike before sunset on the glaciers will reveal a lot of interesting photography subjects. This image was taken during a walk near Svinaefellsjokull Glacier. At first glance, this image looks like just like the ground covered with slippery ice. For a few, it may seem like the glistening backs of whales or sea lions trying to relax amidst the cold Icelandic climate. Indeed, that is the beauty of fine art photography. It can showcase the different dimensions and perceptions of the subject beyond what it is. This fine art shot portrays the beauty of the glaciers against a beautiful horizon. The contrast between the cold climate and the clear evening sky was captured in detail in this photo. The cloud formations appeared so billowy and soft. Purchasing a fine art print of this scenery is a sensible design idea. These type of landscape photographs are timeless and versatile. It can suit a living room or bedroom design plan. However, its puzzling look can be a perfect masterpiece for various establishments who would want to create an artsy ambiance in their offices and lobbies alike. Iceland is known for its rustic and peculiar terrain and climate. Nonetheless, a visit to this freezing land will allow photography aficionado to explore their kind of visual art. Looking on photographs takes you to places and situations you have never seen before. Furthermore, pictures can bring nostalgia and awaken various human emotions. This interesting fine art photo from a trip to Iceland radiates creativity and charm. During a short hike around Svinafellsjokull Glacier, the mountains appear to be subdued. The beautiful horizon and its purplish hue stir up sweet melancholy and wistfulness. Iceland has one wicked climate where the cold can be unbearable. This kind of atmosphere seems to send hints of coldness down to the spine. Furthermore, it may seem odd to others, but this photograph can take you into an out of this world location in a literally and figurative manner. Obviously, this image has patterns which gave it an artsy character. The sheet of ice on the ground gave it a unexpected look. It is an eye catching piece of art. At first glance, this fine art shot looks like a water color painting. However, the picture comes alive once you take a closer look at it. The irregular lines of the glacier gave the picture this recognizable uniqueness. For those who are on the hunt for a perfect design piece, a fine art print of this photograph will do the magic for you. It will surely create an atmosphere of artistry and comfort to any empty space it will invade.